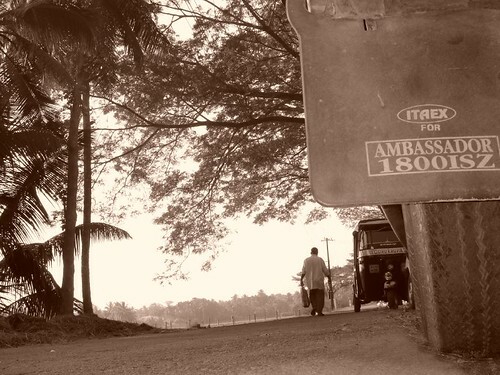 The Ambassador car, once synonymous with the word ‘India’ is now slowly disappearing from its landscape. It seems to be now relegated for use by the politicians. For years, I had believed that Amby, as it’s fondly called by its aficionados has disappeared from the cities and can only be found in the countryside. But, the fact is that even from the country roads they are now making way for the newer cars available in the markets today. The recent re-launch of “Amby” in its new avatar wasn’t that successful in contributing to any revival of the legendary car in mainstream Indian roads. For me, summer vacations during childhood days were spent in visiting maternal home near Pangala in Udupi district. It used to be a gathering of all the relatives with the entire house being converted into a den for ‘Hide and Seek’ games, the veranda being converted into a miniature cricket ground and finally countless road-trips to weddings, temples, beaches and ‘Kudla’ (Mangalore); all of which used to be marked by a visit to the ‘Diana Hotel’ in Udupi. But common in all these road trips of ours was the Amby, a perfect vehicle to stuff in large Indian families:-) . A rugged metallic body and well suited for Indian highways, Amby was and is much resistant to damages in accidents than most modern cars of the day. It was hence a natural choice for the elders when compared to Maruti 800 which was in its infancy during those days. But it only took few years for Maruti 800 to turn into an icon which represented the Indian middle class family. This era marked the decline of Amby. The throne was passed onto the new, small car with a weaker body and Amby slowly began to fade away from the Indian roads. The moment framed in a photograph above was one of those rare sightings of Amby for me during my recent visit to our hometown. There was this one odd Amby waiting outside our home among other popular cars. The Omnis, the Altos and other creations of Maruti Udyog were lined up along with few mini buses and this solitary Amby. The vehicles were all for ferrying people to the local temple nearby for them to take part in the celebrations of the day. This event was connected to the fact that my grandfather turned a hundred years old during the year 2006. He was a founder of this temple in Katpadi and it was decided that a public event was to be held there to mark this occasion. There wasn’t any centenarian in our village except for him and there wasn’t another car from the classic pre-globalization era except for this Amby. And I guess it was a fitting tribute to their survival in the race against time that they undertook the journey to the temple together. Realists may say that Amby is in the fag end of its life and will fade away soon. But who knows, they even said that video killed the radio star. But today, the radio is having its finest hour as predicted by the Late Freddie Mercury in ‘Radio Ga Ga’, one of the greatest hits by the rock band ‘Queen’. Maybe even our dear old Amby and its cousin ‘Premier Padmini‘ will have their renaissance someday too. This entry was posted in Blog, Homeland, Personal and tagged ambassador car, homeland, Karnataka, kaup, nostalgia, pangala, photography, Story, Travel, udupi. somethings remain etched into the social psyche.. not forever but close enough. Ambassador is still my fantasy. Amby was our first car too…and brought on my birthday by my dad…and can you believe it?? We still have the Amby in mumbai and drive to our village alongside our toyotas and marutis!! we are gonna preserve this one!!! This statement took the cake fer me nish… good goin.. keep the ink flowin..in virtual space however thatt works.. There wasn’t any centenarian in our village except for him and there wasn’t another car from the classic pre-globalization era except for this Amby. And I guess it was a fitting tribute to their survival in the race against time that they undertook the journey to the temple together. This statement took the cake fer me nish… good goin.. keep the ink flowin..in virtual space however thatt works..There wasn’t any centenarian in our village except for him and there wasn’t another car from the classic pre-globalization era except for this Amby. And I guess it was a fitting tribute to their survival in the race against time that they undertook the journey to the temple together. this is the car which started it all in the ndian automative industry…heard ppl used to wait for as long at 2-3 yrs in line for the car..
A great photo with a short and sweet tribute to it. Well done Nix.